David Noall It was for sale at $8,000. David Noall It was in an auto shop being repaired, so space (for taking pics) was very limited! 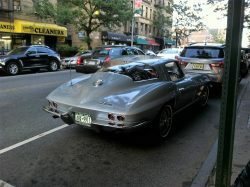 1964 Chevrolet Corvette Stingray, 187th st., NY, NY. 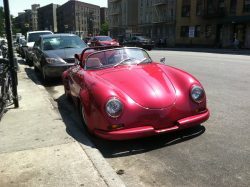 Porsche 356 (replica), Bronx, NYC. 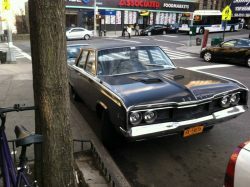 1964 Dodge Coronet. 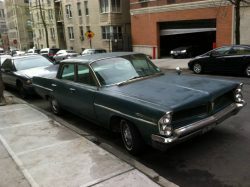 Another original, unrestored example of a 60’s classic. ’63 Pontiac Catalina. I love the design of this car. The trunk (boot) is as long as the hood (bonnet)! It still has the original paint, by the look of it! 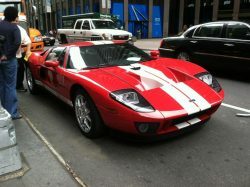 2012 Ford GT40. This is a modern reproduction, but it sticks to the classic GT40 design. Awesome! 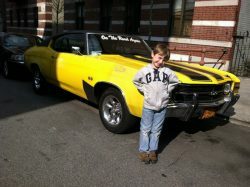 Alex with a 1969 Chevrolet Chevelle SS. I spotted this down a side street near our apartment. 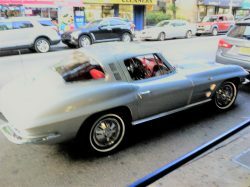 Gotta love those SS (Super Sport) Chevys! 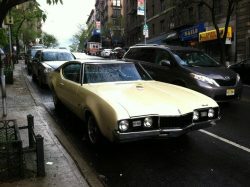 1968 Oldsmobile Cutlass. Love the Cutlass! The big-block, 442 version is a monster of a car!